August 20-24, 2012. Koror, Palau. 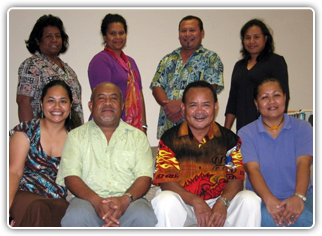 Alii and Welcome to the 2012 Association of the Pacific Islands Public Auditors’ conference website. The 23rd Annual APIPA Conference will be hosted by the Republic of Palau’s Office of the Public Auditor, and has been confirmed for August 20 to 24, 2012 at Ngarachamayong Cultural Center in Koror. This year’s conference and training offers a lineup of courses and instructors that are sure to entice your interest to learn. With support from the Graduate School USA, we again offer courses in basic and advanced levels for both Finance and Audit tracks. To ensure that you register for the appropriate courses to maximize class participation in discussions and exercises, please make time to view APIPA course descriptions and to get to know our Instructors. We also have a slate of extra curricular activities that are posted in the registration sheet. Participants are encouraged to register for activities to provide us with an accurate number of participants for planning purposes. Aside from the training and extra curricular activities, Palau also offers a variety places to visit and things to do. Please make sure to make time to visit these locations and explore Palau’s wonders and hospitality. The Palau Office of the Public Auditor, Graduate School USA, and conference volunteers will be ready and available to assist you to make your stay in Palau a most resourceful and memorable one. On behalf of the Palau Office of the Public Auditor and as Chairman of this year's APIPA Conference, I would like to thank the United States Department of the Interior’s Office of the Insular Affairs, and the Graduate School USA, for its continued support over the years and especially this year's 2012 APIPA conference. We look forward to welcoming you to Palau and sharing lively discussions with you at the conference.